If you knew that the goal of yoga was to quiet the body and quiet the mind so that your soul could experience “God,” would you still do yoga? Would I? Brought up with an attitude of condescension towards religion (scientists know better), I pursued an intellect’s path. Regretfully. As a child, I was awed by beautiful churches and temples, intrigued by the mysterious rituals, moved by the harmonic vibrations of the chants and hymns, and jealous of the social community that my friends belonged to. Not belonging to church heightened my sense of being an outsider, alone, different. My parents allowed me to explore Christianity while making it clear that they would have none of it. At the age of 12, 13, 14, I threw myself into it (pretty much how I do everything in the new throes of a passionate interest), preparing myself to be confirmed as a member of the church. I read the Bible, joined the youth group and the choir, went on retreats, attended church school, but ultimately decided I did not believe in God. Wistfully but decisively, I chose not to be confirmed. I went forward with my intellect’s life. I married a man who has an even stronger history of disbelief in religion (though perhaps a more open relationship with God). His father was damaged (exactly how is unspoken and unknown – I can only imagine the worst) by his Catholic upbringing. While introducing his children, intellectually, to all the religions of the world, he made it clear that he was vehemently opposed to religion, characterizing it as inhumane, self-serving, even evil – definitely not spiritual. When we had children, I found myself wondering again. Is there a way to belong to a church community and provide a spiritual foundation for my children that is beautiful and meaningful and supportive? I explored the most open and liberal church in our neighborhood, but came to the same conclusion. If I don’t believe in God, how can I whole-heartedly join this community? At mid-life, questioning the meaning of my life and frantic that it was going by too fast, I discovered yoga. It was a delicious form of exercise! My body loved the poses: the stretching, the challenge, the exhilaration. I was awed by the beautiful space, intrigued by the mysterious rituals, moved by the harmonic vibrations of the chants. I belonged. It was secular spirituality! And my body got a workout! I was in Heaven! I kept the “crazy hokum” at a distance. Chakras? Energy? Devotion? Samadhi? I just knew that I loved the feel of going inside, feeling my breath, feeling my body, listening to my gut, listening and communicating with my loved ones with more honesty. OM Shanti Shanti Shanti? Peace Peace Peace. Who could argue with that? I went deeper and got my 200 hour teacher certification. Yeah, okay, I read the Bhagavad Gita. Lovely mythology. Life is a journey, don’t be attached to the outcome. I read the Yoga Sutras of Patanjali. Yoga is the stilling of the mind. Thank God, because my mind is in overdrive and yoga was the only place it quieted down. My family tolerated my chanting, Yogas Citta Vrtti Nirodhah over and over as I prepared for my certification exam. Yoga had become profoundly important to me, a sanctuary. I began to think maybe I was a spiritual being after all. I started teaching. Beginners. Primarily women looking for a form of exercise that didn’t hurt. When I started teaching, I realized how little I knew. Two years later, I am now embarking on “continuing education.” We began with philosophy. I reread Book 1 of Patanjali’s Sutras. Hmm, it’s making more sense this time, or perhaps it is simply becoming more familiar. I warned my beginners that I might be introducing OM next week. They appeared curious and interested. As fate would have it, I and a classmate were assigned the task of reading, explaining, and teaching Sutra 1.27. You know, the one about OM. The one that says OM is God. What? I don’t think I realized that the first time I read it. OM is a deeply expressive, full, and mystical sound. Like breath, like life, it has a beginning, “AHH,” a middle, “OOO” and an end, “MMM,” the vibration of which resonates through your body. OM is the yogic word for God. It is the manifestation of God. It IS God. Chanting OM quiets the body and quiets the mind so that your soul may experience God – the goal of yoga. Do I believe this? I don’t know. Will I introduce OM to my students this week? Yes. I have decided to start with just feeling the MMM vibration. It’s a mysteriously powerful sensation! Is it God? I don’t know. I do know that I will keep practicing yoga. Yoga is where I feel still and sacred, able to be me, able to love and be loved. I feel holy in those rare moments when I float in Svasana. I feel holy when I chant OM with my yoga community and the vibrations make me feel like I am expanding and taking off. I feel holy when I look in my husband’s eyes, my children’s eyes, and know love. So allow me to reword this…. Thanks for the meal! Hi Sally. Thank you for sharing. Makes me think about how I came to Yoga. I have no idea why I like this article… take a wild guess people. LOVE IT! I am purring… ok I know she isn’t talking about me way to ruin the fun people! Note: Comments disabled on this post, please post comments on their article. Thank you OM for reblogging my post. I have had many wonderful comments and gotten to know some new blogs and bloggers. I am very grateful. I read all of Sivananda’s books & dip in to the Ghita now and then. Inspiring post. Found your article through Opinionated Man’s reblog. It’s intriguing how you basically wrote a little of how I feel. It’s a hard thing to do; trying to sieve through my beliefs and non-beliefs, faith and intellect. I find that I am still not decided on my indecisiveness like you are, if that makes sense. Thank you, and I look forward to read and learn more about yoga from you. Definitely a good read! I’ve done some gentle yoga myself and the teacher in my sessions has said that “God” isn’t necessarily an all-powerful being that controls everything, but it’s kind’ve like your inner self that you can tap into when you’re at peace. That’s what I remember anyway. What a great read!!! Thanks so much for sharing. Beautiful Sally! Thank you for sharing these thoughts! Brilliant. Exactly as the journey into spirituality and finding God should be. Full of self discovery, always pondering over new found mysteries and challenges. Better than anything you’ll ever hear from a third party pulpit! Sally, your post reads like a warm breeze – thank you for sharing in your experiences thus far. In the love of Christ, I encourage you to read the gospels again, specifically the gospel of John just as it is. Jesus has said himself he is much more than you or I and it is to our benefit that he is who he is, hence the love you’ve sought and the estrangement you suffered under as a kid. I have felt that my whole life and never understood why – even now, as a Christian among other Christians, I still feel it sometimes – but I have come to understand that I have no belonging in this world, rather, because of Christ, I have belonging in Him. I believe you are sincere in this post and I don’t want to undermine what you’ve experienced through yoga, but I pray that you continue on your journey to know the God you sought as a child. He is personal, knowable, practical, full of love and mercy, forgiving, absolute and far more than a pleasant idea or feeling and that he continues to call to you even from your youth and as he has the whole world through Jesus Christ alone. Please don’t write off your previous endeavors with Christianity or Jesus Christ as if you’ve learned all that you needed to conclude that he is somehow lesser than who he claims to be. Be blessed in knowing him fully as he truly is and what that means for you and your family if you would come to him in truth. I love yoga and chanting but recently I’ve been neglecting my yoga practice (I’m also training to become a teacher) and have no idea why. It’s almost like I’m scared of communing with God again or don’t think I’m able or worthy to teach. I do believe in God, and don’t think there’s a way to rationalise it. I just feel. And know. If others don’t believe I don’t have a problem with it, I rarely talk about my faith but I KNOW. No idea what his/her name is but don’t really think it matters. After reading your post I am not sure how to respond except that I would say do not discount the power of God and His ways of pulling us into communion with Him. He loves all His children and wants us to find our God given purpose. I am glad that you are not trying to inhibit your sons curiosity about faith, God and Christianity. I appreciate your openness and honesty about this subject and appreciate your writing style. 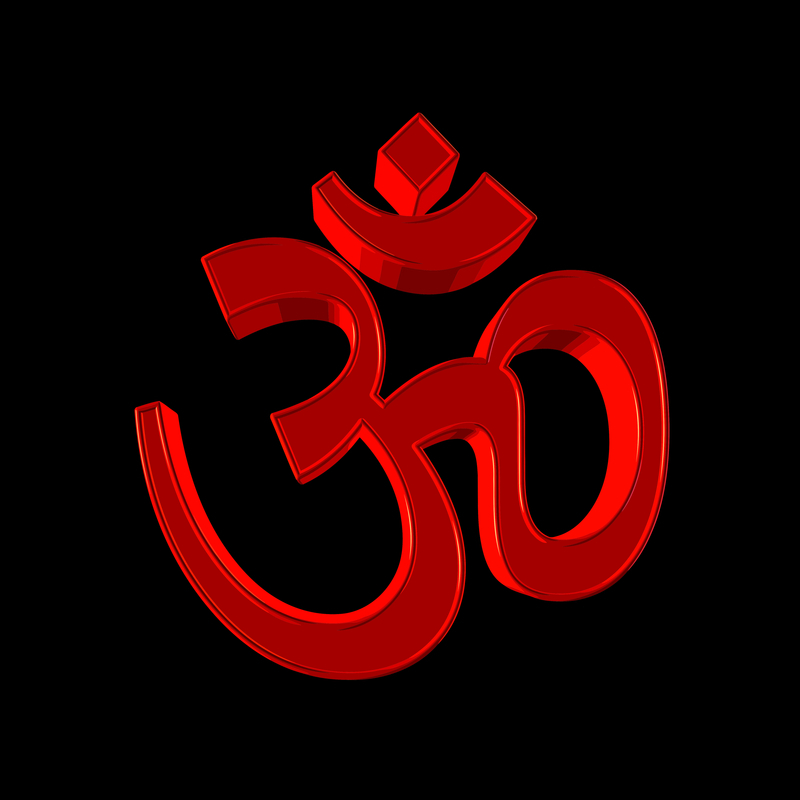 OM OR AUM, chanting of which can connect you with your goal. Follow any belief, we should never shun from taking any good point(s) from others’ FAITHS. And why not, these beliefs are the result of vast experience(s) over quite vast a period of time. This type of wisdom has come to us from generation(s) unknown then who we are to question the veracity. But first of all, just see whether it could impact your life. Do not take good thing as some other religious belief. Take it as a wise thing that has flown from ages together. And also, we cannot just reject it out-rightly. Just try and see what changes it can make on you, and I mean any good point(s) in any belief. AUM to me, is not particular to a religion. Lords Brahma (Creation), Vishnu (Evolution) and Mahesh (Creation) are not confined. These are the names and when we chant AUM with sincerity and with right attitude it resonates. And when one is chanting from the heart, after some time, whole of ones body vibrates creating energy of highest dimension which you cannot experience otherwise. I am telling you with my personal experience. And I should say that I follow all the teachings of all the religions.